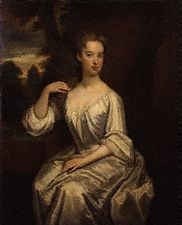 From 2 January 1700, her married name became Lady Spencer. She held the office of Lady of the Bedchamber to Queen Anne from 1702 to 1712.3 After her marriage, Lady Anne Churchill was styled as Countess of Sunderland on 28 September 1702. [S6] Cokayne, and others, The Complete Peerage, volume XII/1, page 488. [S6] Cokayne, and others, The Complete Peerage, volume XII/1, page 489. [S9] Charles Kidd and David Williamson, editor, DeBretts Peerage and Baronetage (London, U.K.: DeBrett's Peerage, 1999), volume 12, page 1871. Hereinafter cited as DeBretts Peerage, 1999. 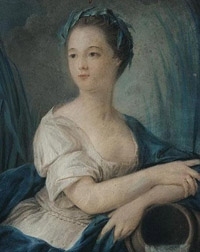 Margaret Smith was the daughter of Sir James Smith and Grace Dyke.1,2 She married Charles Bingham, 1st Earl of Lucan, son of Sir John Bingham, 5th Bt. and Anne Vesey, on 25 August 1760 at Bath, Somerset, EnglandG.2 She died on 27 February 1814 at London, EnglandG. [S15] George Edward Cokayne, editor, The Complete Baronetage, 5 volumes (no date (c. 1900); reprint, Gloucester, U.K.: Alan Sutton Publishing, 1983), volume II, page 399. Hereinafter cited as The Complete Baronetage. [S18] Matthew H.C.G., editor, Dictionary of National Biography on CD-ROM (Oxford, U.K.: Oxford University Press, 1995), reference "Bingham, Margaret". Hereinafter cited as Dictionary of National Biography. Sir James Smith was the son of James Smith.2 He married Grace Dyke, daughter of Edward Dyke and Elizabeth Blackford. [S1302] Alexander Waugh, "re: Grace Dyke," e-mail message to Darryl Lundy, 15 March 2005. Hereinafter cited as "re: Grace Dyke." John Charles Spencer, 3rd Earl Spencer was born on 30 May 1782 at Spencer House, St. James's Place, St. James's, London, EnglandG.1 He was the son of George John Spencer, 2nd Earl Spencer and Lady Lavinia Bingham.1 He was baptised on 7 July 1782 at Wimbledon, London, EnglandG.1 He married Esther Acklom, daughter of Richard Acklom and Elizabeth Bernard, on 13 April 1814 at Upper Brook Street, Mayfair, London, EnglandG. Cockayne quotes from the Farington Diaries, "in marrying He complied with the wishes of Lord and Lady Spencer, it was not of His own seeking" and from Letter Bag of Lady Elizabeth Spencer Stanhope, "since Jack Althorp would not propose to her, she proposed to him; and such an unusual proceeding was fraught with happy consequences ... his devotion after marriage amply compensated for his lack of ardour before. "2 He died on 1 October 1845 at age 63 at Wiseton Hall, Nottinghamshire, EnglandG, dsp.1 He was buried on 9 October 1845 at Brington, Northamptonshire, EnglandG.2 His will was proven (by probate) in 1845, at under £160,000. [S6] Cokayne, and others, The Complete Peerage, volume XII/1, page 156. Esther Acklom was born in September 1788.1 She was the daughter of Richard Acklom and Elizabeth Bernard.1 She married John Charles Spencer, 3rd Earl Spencer, son of George John Spencer, 2nd Earl Spencer and Lady Lavinia Bingham, on 13 April 1814 at Upper Brook Street, Mayfair, London, EnglandG. Cockayne quotes from the Farington Diaries, "in marrying He complied with the wishes of Lord and Lady Spencer, it was not of His own seeking" and from Letter Bag of Lady Elizabeth Spencer Stanhope, "since Jack Althorp would not propose to her, she proposed to him; and such an unusual proceeding was fraught with happy consequences ... his devotion after marriage amply compensated for his lack of ardour before. 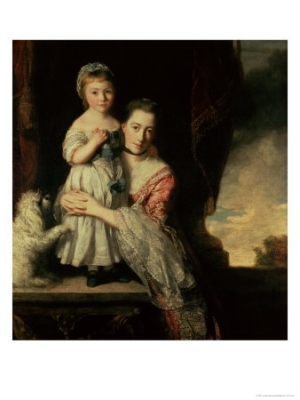 "1 She died on 11 June 1818 at age 29 at Halkin Street, Belgravia, London, EnglandG, from childbirth (it is said from shock at the Princess Charlotte's death).1 She was buried on 18 June 1818 at Brington, Northamptonshire, EnglandG.1 Her will was proven (by probate) in 1819. After her marriage, Esther Acklom was styled as Viscountess Althorp on 13 April 1814. From 13 April 1814, her married name became Spencer. [S6] G.E. Cokayne; with Vicary Gibbs, H.A. Doubleday, Geoffrey H. White, Duncan Warrand and Lord Howard de Walden, editors, The Complete Peerage of England, Scotland, Ireland, Great Britain and the United Kingdom, Extant, Extinct or Dormant, new ed., 13 volumes in 14 (1910-1959; reprint in 6 volumes, Gloucester, U.K.: Alan Sutton Publishing, 2000), volume XII/1, page 156. Hereinafter cited as The Complete Peerage. He lived at Wiseton Hall, Nottinghamshire, EnglandG.